That Abe’s Oddysee reboot vaguely announced back in June? It’s on like Molluck the Glukkon. As promised, Abe’s Oddysee – New ‘N’ Tasty is so much more than just an HD makeover, but instead a complete remake of the 1997 original. Although the platforming gameplay will remain more or less unchanged, the remake features “fully 3D rendered environments” in a 2.5D perspective, with levels redesigned to take advantage of the new engine, as well as re-recorded voices and sounds plus “some surprises”. 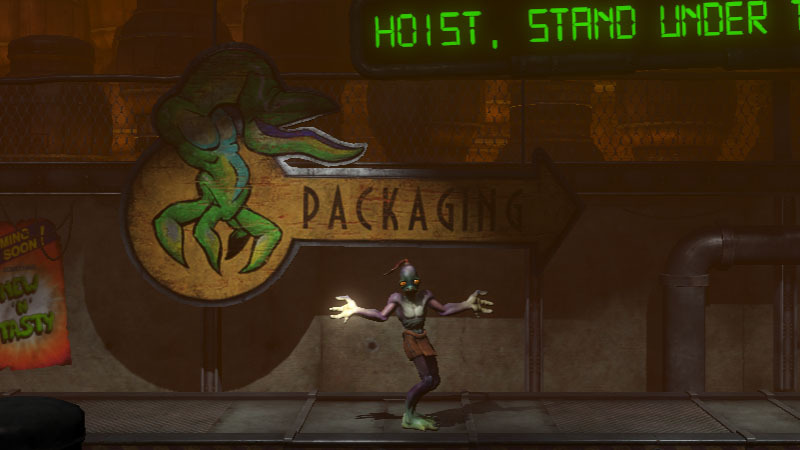 “Oddworld Inhabitants is always overwhelmed by the fan dedication to Abe and the games and hope to keep them involved in the creative process for future games. We are all excited about giving a new generation of gamers the opportunity to play Abe’s Oddysee the way they deserve,” said Oddworld Inhabitants man Lorne Lanning. The game is in developed over at Just Add Water, and is expected to launch on the Xbox LIVE Arcade, the Playstation Network (for both PS3 and PS Vita), and PC in late 2013.